So, you're having a baby boy! Now, in addition to shopping for diapers and little blue onesies, it's time to put together the nursery. While this may seem like a daunting task at first, it can actually be a bonding experience for you and your partner and a chance to get creative. Pick your color scheme and build around it. If you need ideas for your little boy's room, we like navy and grey, baby blue and white, or mint and white. 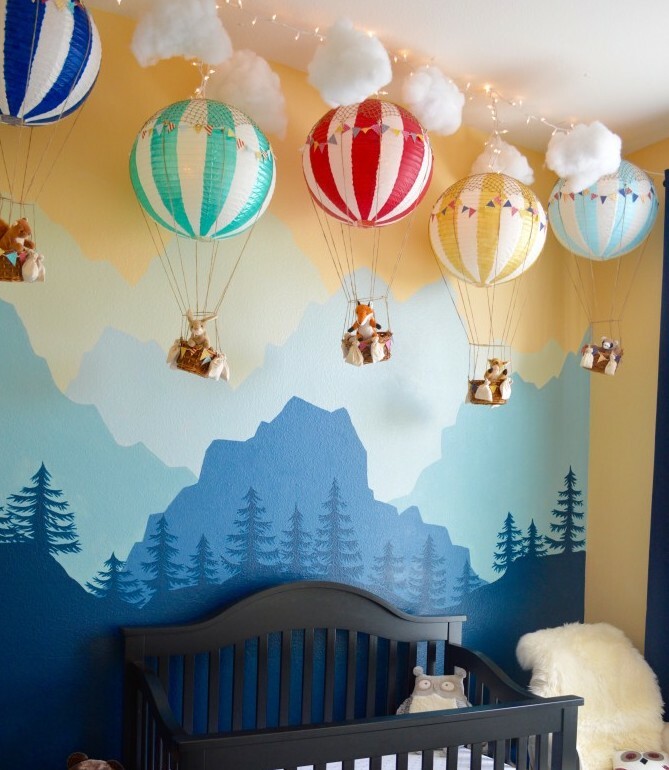 Read on for some of our favorite nursery ideas and themes. Let your little guy come into the world feeling like the superhero he is. We love the superman vintage theme pictured above. There's also Batman, Spiderman, Hulk, Captain America, the list goes on and on. Hang this handmade Super Hero Crib Mobile above the crib. Make the closet door a telephone booth. This Marvel Avenger's Blanket can be made into a crib set. Get creative and come up with your own unqiue superhero decor. Wanting to train your guy to be a be the next big athlete or just want to encourage him to be active from a young age? Center the room around sports. 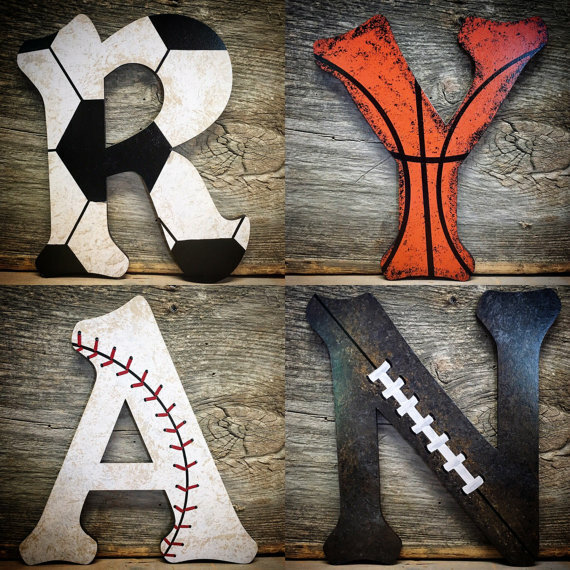 Whether it's football, baseball, basketball, have fun with the decorating. Mount a baseball bat or glove on the wall. Put a football-shaped rug on the floor. 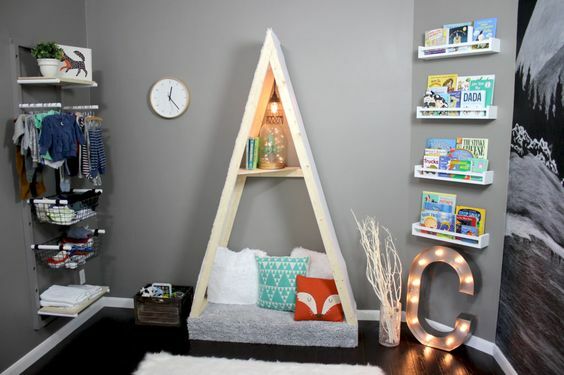 These Wooden Wall Letters or Baseball Table Lamp, both from Etsy, are nice touches. 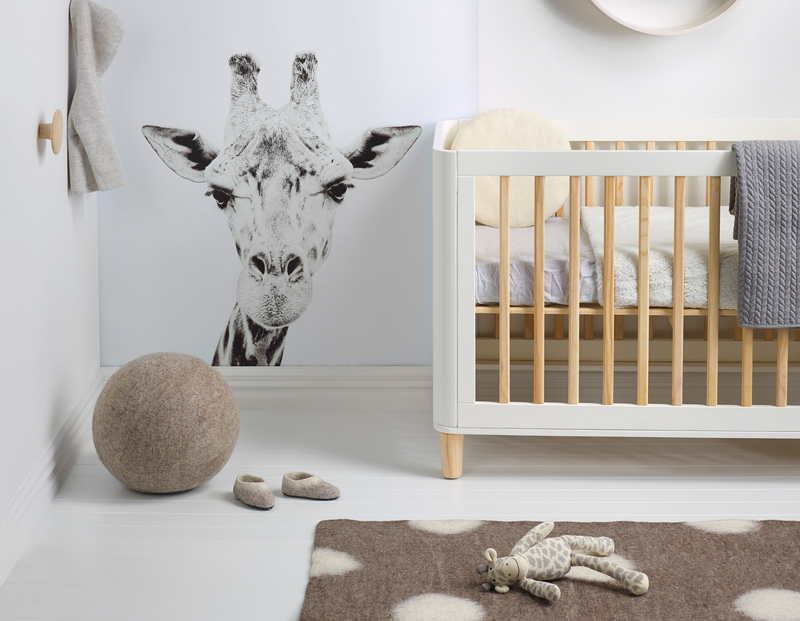 Create a fun, playful environment for your baby with zoo or farm animals around the room. You can incorporate animals into lamps, tables, pillows, and more. We suggest these Animal Laundry Baskets and Elephant Plush Rockers as adorable additions to any nursery. 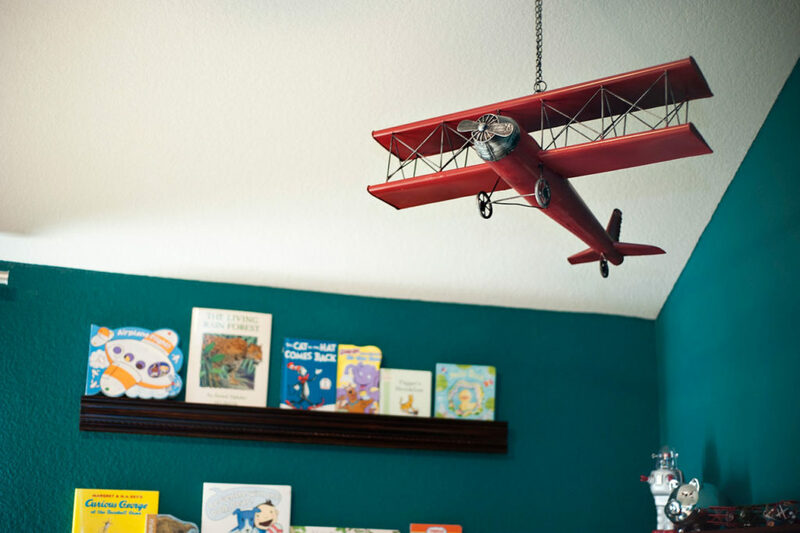 Whether they are danging from the ceiling or framed on the wall, airplanes are an interactive and aesthetic touch to the nursery. 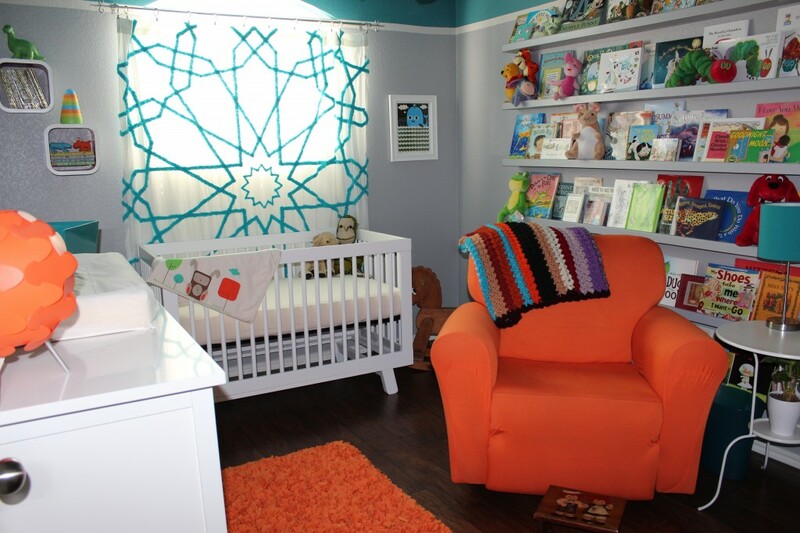 How could you not want to read in this nursery via OkieOLIO?